There is a world parallel to our own whose small inhabitants fret over toxic shock syndrome, swoon over Fabergé eggs, and hoard pet cats. This world is filled with objects of convincing density: a Louis Vuitton shopping bag; a crystal ball; a tutu; a telephone; a dunce cap; an igloo; and a feathered turban. Characters speak with the languorous wit of Tallulah Bankhead; the screechy frustration of the stay-at-home mother; the precociousness of a child studying vocabulary years in advance of her SATs. In many ways, this world is entirely our own with the exception of the size and, well, the chenille and pipe cleaner consistency of its occupants. 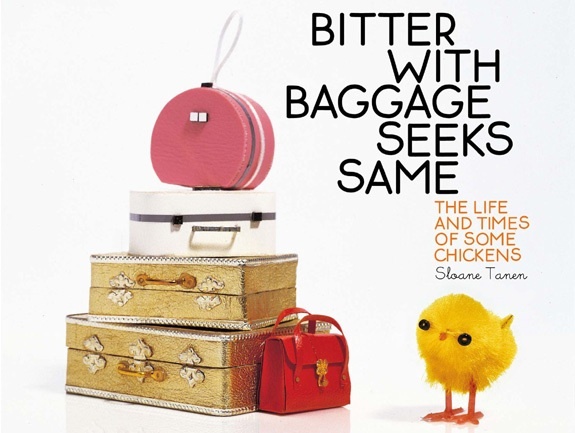 Richly detailed tableaux are filled with sassy chickens, the only actors in Sloane Tanen’s four art books: Bitter with Baggage Seeks Same: The Life and Times of Some Chickens (2003); Going for the Bronze: Still Bitter, More Baggage (2005); Hatched! : The Big Push from Pregnancy to Motherhood (2007); and Appetite for Detention (2008). (The titles are satisfying in translation: Splendeurs et misérès d’une starlette de poulailler, Poussez for Hatched, and Küken im Goldrausch.) The store-bought chickens pop up as novelty items in craft and toy stores around Easter. Tanen sculpts them to reflect emaciation, obesity and plain old bad hair days. Bits and pieces from dollhouse collections, like baby strollers and polar bears, texture the dioramas. The small fuzzies seem sometimes to stagger under the weight of their emotional baggage. The word ‘tizzy’ comes to mind. The legendary cartoon editor of the New Yorker, Robert Mankoff, once buzzed around Tanen’s work as a new, avant-garde cartoon, unlike any of the magazine’s past submissions. Her work is original and identifiable at a glance and is ready to appear in any setting in which cartoons are found. Its stagy, intricate settings (“little movie sets” says Tanen), are more obviously artistic than cartoonish, and ultimately maximalist where drawings are minimalist. Each image, deriving from a 3-D set, is trickily sculptural and takes up to an hour to shoot. Though Tanen refers to herself as a “3-D cartoonist”, her work seems to bring a little more to the table than cartooning. In the end, the New Yorker did not put out a special issue of multimedia cartoons, and the project was shelved. “The editor-in-chief [David Remnick] sees the New Yorker as a traditional magazine using traditional line-drawn cartoons,” explains Tanen. She calls the meeting with Mankoff a high point for the chicken series, saying “I do think that cartooning is an art form: I definitely do”, and names Charles Addams a particular inspiration. 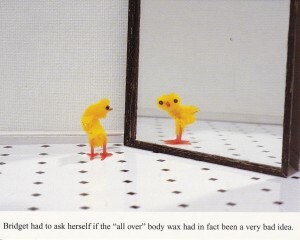 In their ability to form stand-alone universes, the chickens perhaps best resemble Gary Larson’s classic cartoon “The Far Side”. A commissioned composition (“Subway Chicks”) has appeared on New York City subways and billboards, as part of a series of MTA Arts for Transit subway posters. Tanen produced a tapestry of metropolitan life in this close depiction of Mayor George B. McLennan Jr.’s inaugural subway ride from City Hall Station in October 1904. 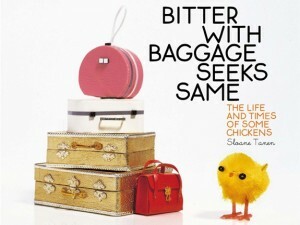 For the Spring 2006 collection, The Sak, a mid-range handbag line, ran a series of chicken ads. Sloane Tanen’s life is bicoastal and bicultural. Her father, Ned Tanen, was a studio head with a massive Hollywood career (Animal House, Jaws, Fatal Attraction), which kept Sloane in LA until age 18. Her education is diverse, and she began attending a string of exclusive institutions with the private co-ed Brentwood School. She did her undergrad at Sarah Lawrence, majoring in visual art. Tanen’s paintings feature black and white “architectural landscapes”, and appear in corporate and private collections. Her time in Manhattan was prolific. She did two Master’s degrees, one at Columbia in art history and another at NYU in literature. 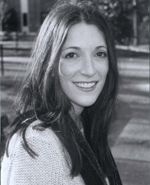 She went on to University of Virginia where she began her Ph.D. with the intention of becoming a professor, but she eventually left due to a lifelong fear of public speaking. (A shy, apprehensive theme returns when she talks about reading Amazon reviews: “When you go out in public, you gotta be ready to get your head blown off.”) Her reading schedule remains heavy: a list on Twitter takes in Joyce Carol Oates, Herman Kock, Donna Tartt and Tom Rachman. She returned to California, to Berkeley for a few years, and now she resides in Oakland. (“I’m having a harder time relating to it because it’s not my kind of crazy. It’s nice, it’s different, a good place for the kids.”) The captions of Tanen’s chicken images reflect her ability to toggle between two dialects: New York hipster and California flake. The chicken work was born in New York, at Tanen’s Greenwich Village studio. Tanen’s artistic career was underway, and she was showing her work in galleries. Unable to paint large-scale works after an injury, Tanen began making model houses and painting their small rooms. Tanen had bought a few of the little chenille figurines every Easter, and stuck a few in her miniature rooms, sending the resulting pictures on cards to friends. 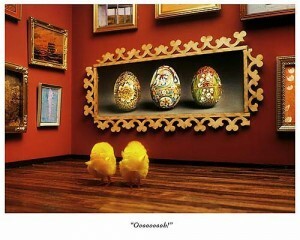 They were a hit, and Tanen soon got more inquiries for her chicks than for her serious painting. 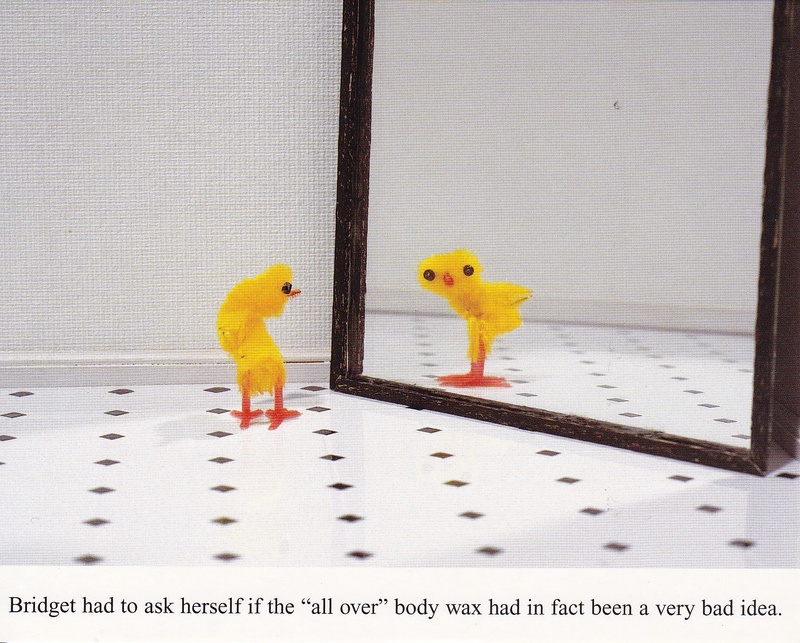 Her friends requested personal situations rendered in chickens, and Tanen discovered that any embarrassment depicted in chenille lost its power to offend, but not its power to amuse. It takes a surgeon’s dexterity and attention to detail to assemble the dioramas and pose the charismatic chenille, and some of the original sets sold at auction raising funds for a cancer charity. 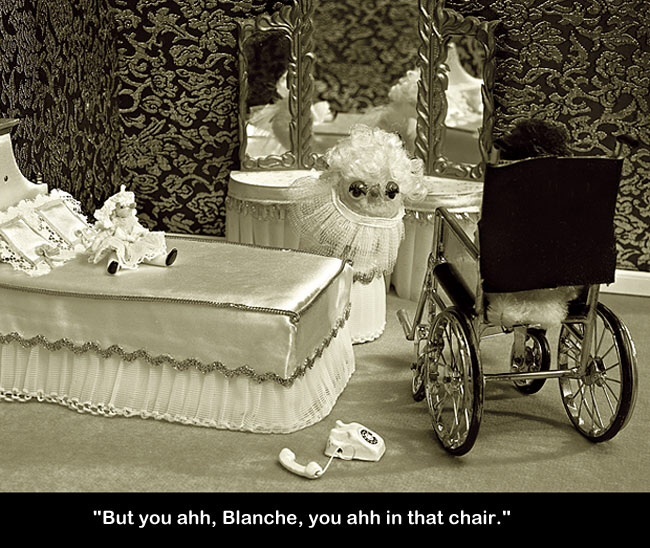 At first she made all of the little props used by the chicks, and then Tanen discovered that she could buy many in the strange, obsessive world of dolls and dollhouses. “I am a better painter than a line drawer and the chickens just came very easily. They were kind of an accident, as are the best things in life and art.” Editor Amy Scheibe approached her to produce a book, and she soon had her choice of publishers. Tanen connected with German photographer Stefan Hagen and a deal was signed with Bloomsbury. 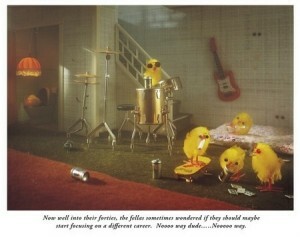 Hagen, who worked in advertising shooting jewelry and shampoo bottles, was the first successful chicken photographer. 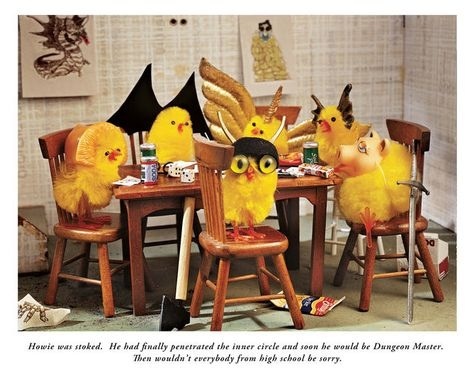 He knew exactly how to light the dioramas, and he would collaborate with Tanen throughout the chicken period. Tanen’s chicks are tucked away in their roost for now. The publisher and editor have left, and Tanen is now separated by geography from her collaborator-photographer in New York. Though the first books sold well, the classification of her books in stores created a problem. “These are gift books, and they end up shelved in the humour section of a bookstore and nobody sees them. When they are viewed as a novelty item and the booksellers put them out, then they do sell. Otherwise they can get lost in a bookstore.” Tanen was frustrated when the most accomplished chicken book, Hatched, suffered such a fate. An attractive, youthful brunette, Tanen is married to Gary Taubes, an award-winning science writer who has appeared on the cover of New York Times Magazine. His research into the Nobel Prizes and Cold Fusion has been followed by a predictably best-selling, controversial book called Why We Get Fat. They have two young boys, Harry and Nick, and Tanen remains close to her older sister, Tracy James. In 2011, she published a young adult novel, Are You Going to Kiss Me Now? (Sourcebooks Fire). High School Junior, Francesca Manning, is an aspiring writer who crash lands on a desert island with five celebrities, one an obvious Perez Hilton figure and another a Lindsay Lohan. She had won the rendezvous with celebs through a Seventeen magazine biography contest, for which she falsely wrote that her father, who had just impregnated his girlfriend, was dead. This is the essential Sloane Tanen detail: small stakes, huge results. 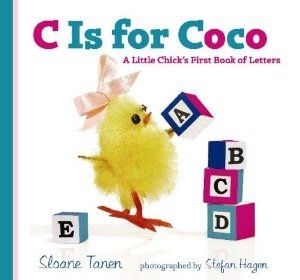 As she moves onto another literary work, Tanen hasn’t forgotten the chickens what brung her to the dance.